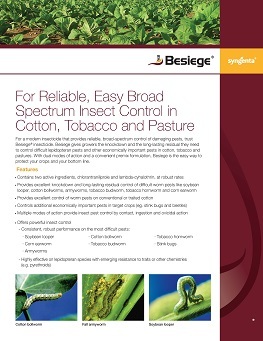 Besiege® insecticide, which contains the active ingredients chlorantraniliprole and lambda-cyhalothrin, is a broad-spectrum foliar insecticide providing fast knockdown and long-lasting residual control of a wide range of insect pests, including lepidopteran, sucking and chewing pests, in row, specialty and vegetable crops. 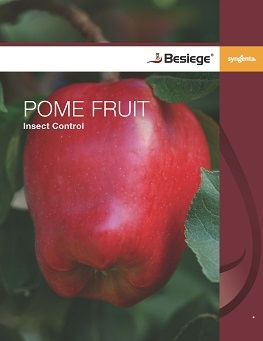 Besiege helps improve apple yields provides both rapid knockdown and long-lasting residual control of lepidopteran and other pome fruit pests. 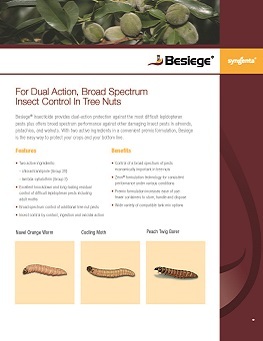 Besiege shows excellent control of navel orangeworms in almonds, showing a low percentage of damaged nuts in trials. 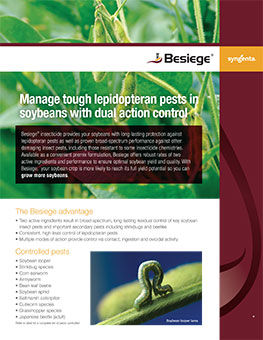 Besiege provides a broad spectrum of control in lepidopteran and sucking and chewing pests. 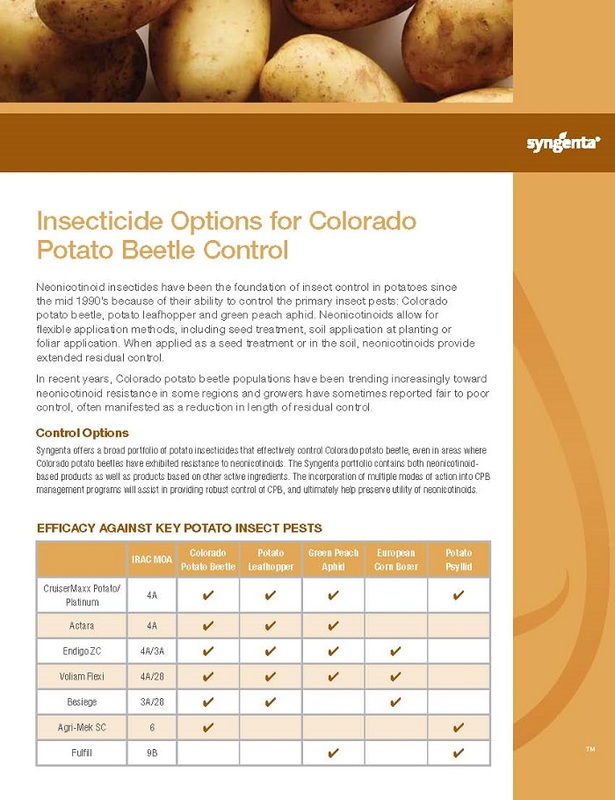 ©2019 Syngenta. Important: Always read and follow label instructions. 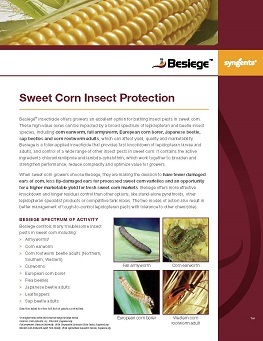 Some products may not be registered for sale or use in all states or counties. Please check with your local extension service to ensure registration status. 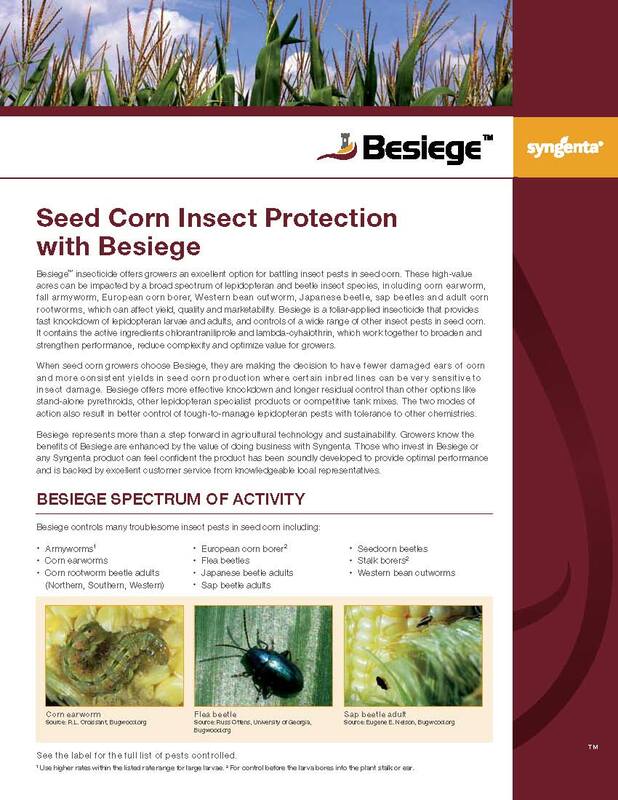 Besiege® is a Restricted Use Pesticide. 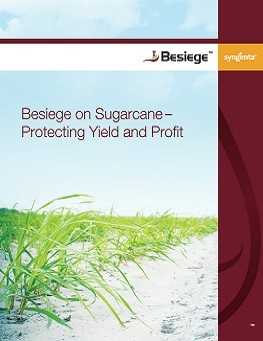 Besiege is highly toxic to bees exposed to direct treatment on blooming crops and weeds. 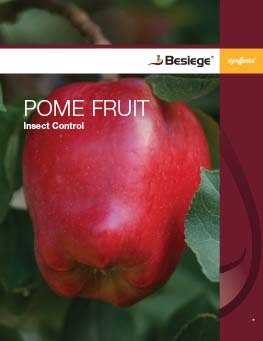 Do not apply this product or allow it to drift onto blooming plants while bees are foraging adjacent to the treatment area.